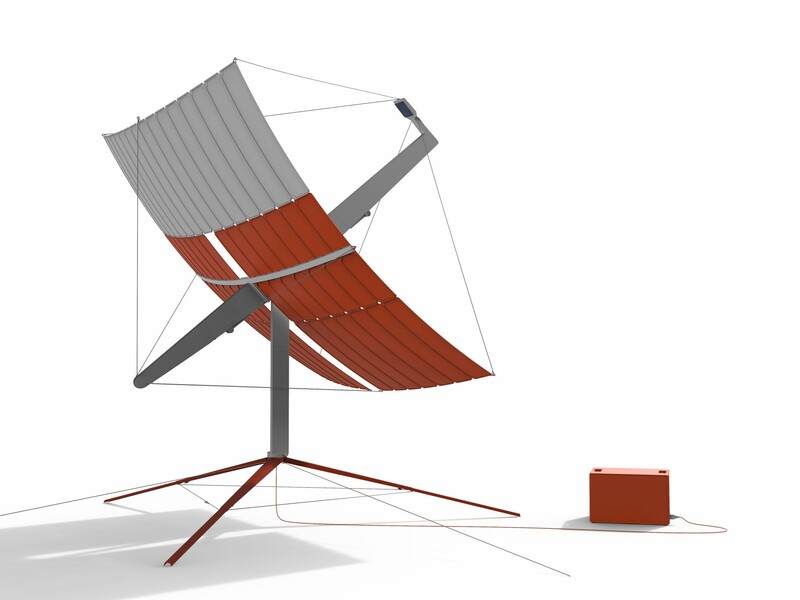 As designers we have an important responsibility creating the things that create our future. 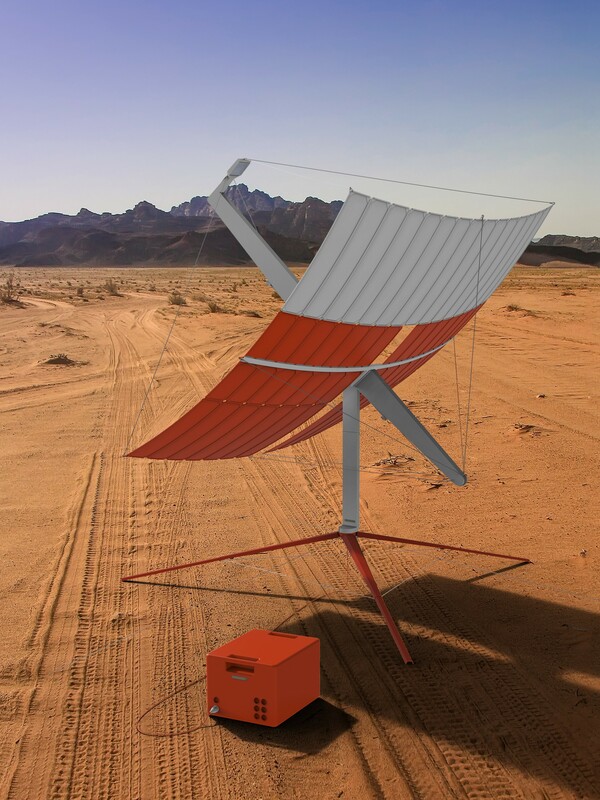 Addressing an ever-increasing problem as humanity evolves in technological development, I designed an autonomous high-efficiency mobile solar power generator. 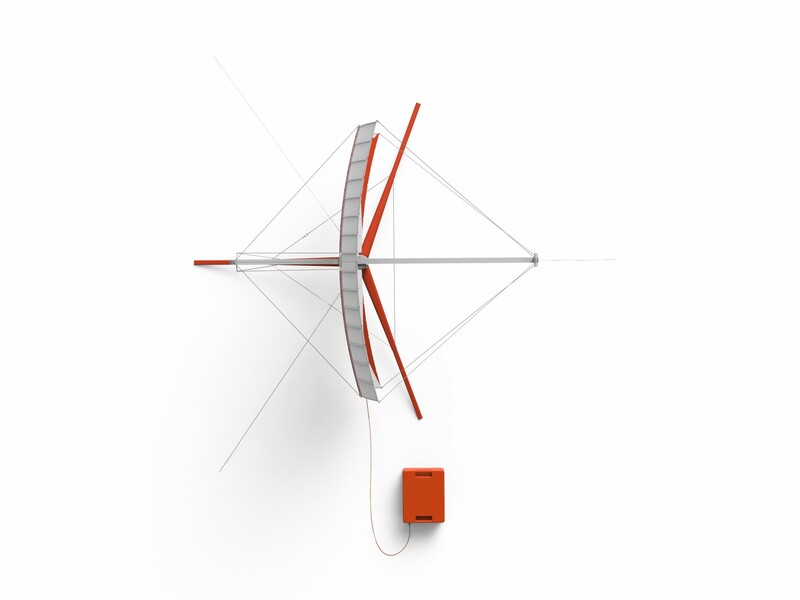 It is made out of mirror panels that click into place when assembling and are shaped and held by the cable pulls and the frame. 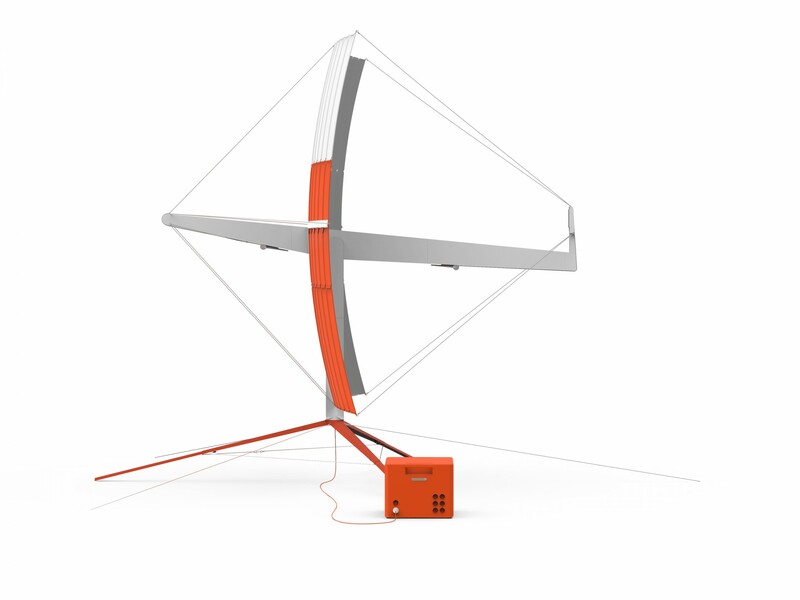 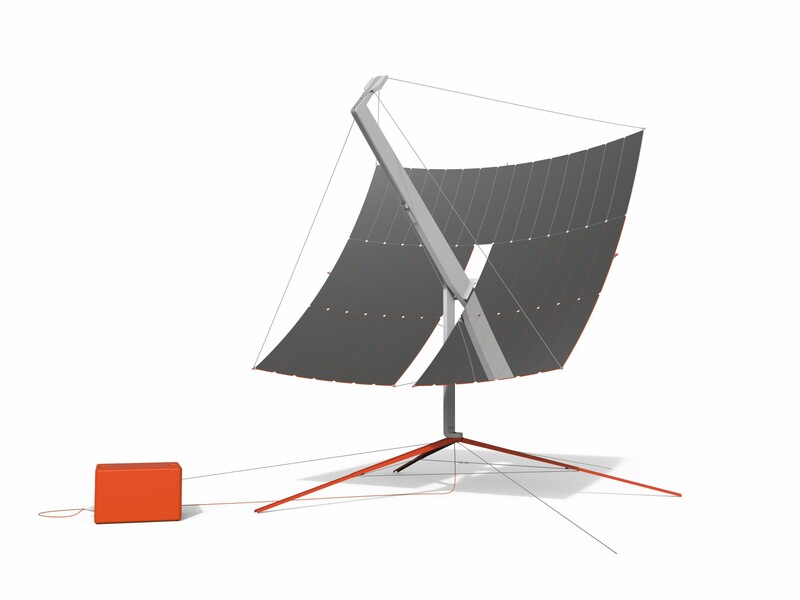 The parabola mirror is set to follow the solar radiation via GPS and sensors to maximize efficiency and power output. 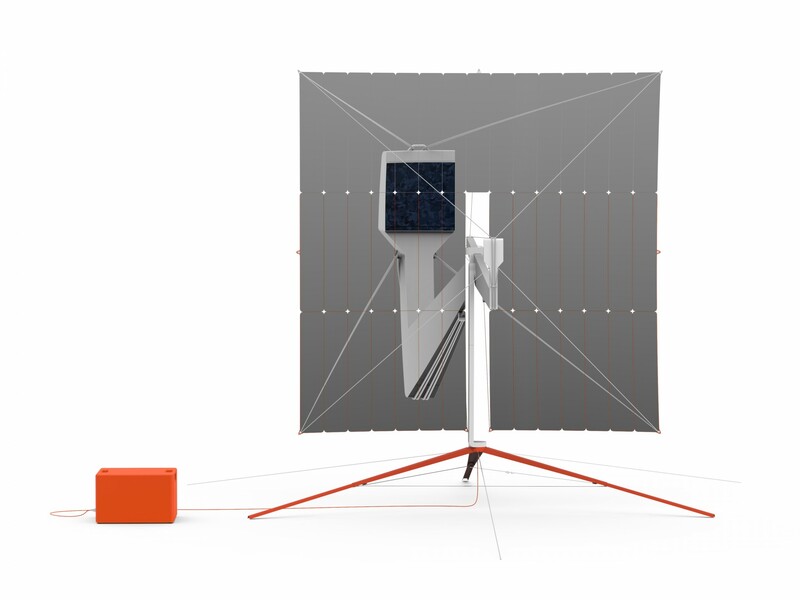 All the bundled sunlight is then reflected onto the small high-efficiency solar cell, which has an integrated water cooling system to maintain efficient power generation. 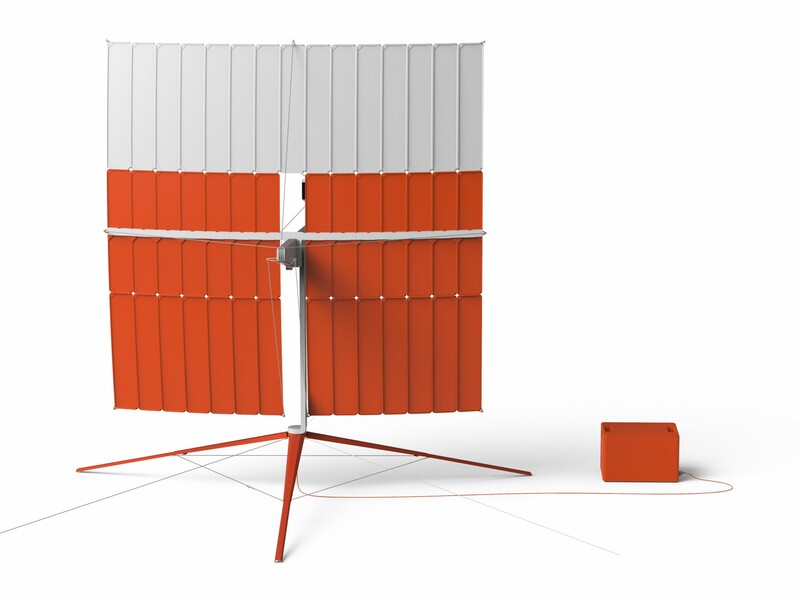 Generated electricity is stored in an individual battery-pack that can be used independently.